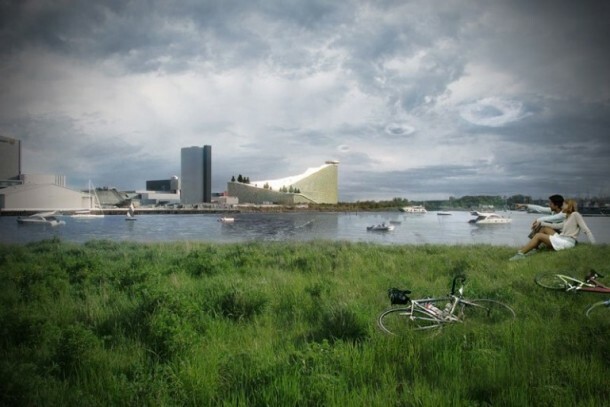 A collaborative effort being led by Bjarke Ingels Group (BIG) has recently stated that it has been selected for designing a new waste-to-power station on the outskirts of Copenhagen. The design will be an attempt for trying to bring industrial area and residential area on a common platform. The project shall be transforming the vast roofing of the power station into an Alpine ski resort. Skiers shall begin the journey from the top of the smokestack. The smokestack is also being modified so that it pumps out a ring of smoke every time a ton of carbon dioxide is produced to remind the people of area about the impacts of power consumption. The challenging design is being worked on for a waste-to-energy and recycling company known as Amagerforbraending that is already operating an incineration plant responsible for converting the waste from five districts into heating and electricity. The collaboration team is comprised of BIG, Realities:united, AKT, Topotek 1, Man Made Land and the Glessner Group. The team is aiming imparting functionality and form to the structure. The machinery will continue to be housed within the main building, however, the structure will be extended and lowered on one side to cater for an area designated for administration and for a visitor center. The structure will be raised to meet the smokestack’s top of the power plant. An elevator that will run up to the top will also be installed. The inner wall of elevator will be created from glass thus allowing the visitors to take a peek at the inner workings of the plant on their way up. The rooftop area shall be reshaped to form a 1,500 sq. meter artificial ski slope with three runs that would offer different variety. The outer façade of the 95,000 square meter building will sport green planting boxes to impart a distant green mountain appearance. 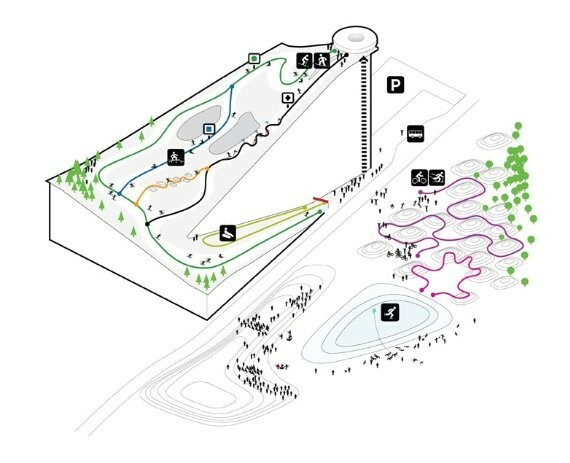 The ski run is part of a bigger recreational development area that will feature activities such as sailing, rock climbing and karting.